The Original LSTAND - The most versatile laptop stand on the market! Our unique design allows for three basic configurations: table top, clamped to a table, or clamped to the wall of a case or other sturdy vertical structure. Set it low for a minimal clearance of 6.75” or set it up to 11.5” high. 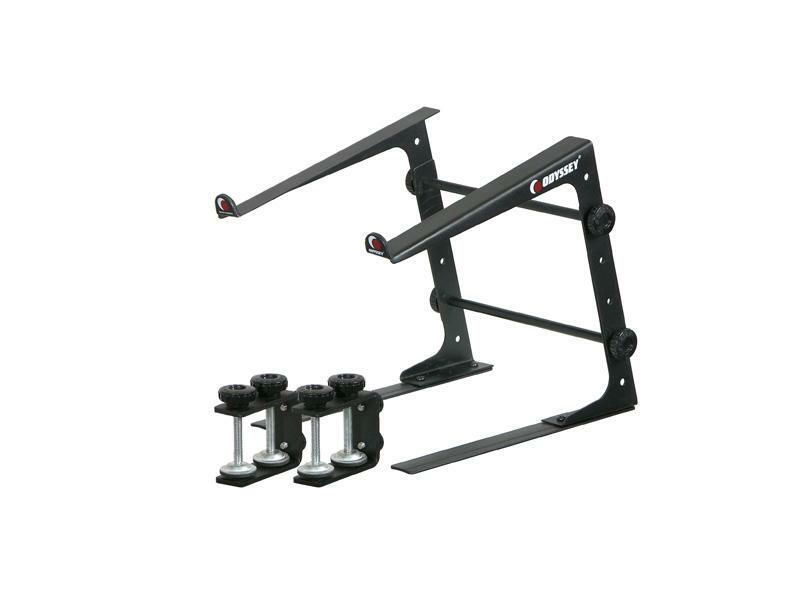 The 10.75” long support arms hold gear with a width of 9” or greater. The Original LStand is adjustable to 4 heights and by adding the included extensions, and can be extended to fit that extra wide 17" laptop or other gear.